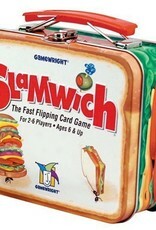 Flip and stack this clever loaf of cards to build slamwiches and double deckers. Tomato, cheese, tomato. slap. Get there first and win the pile. But watch out -- you'll have to catch thieves and stop munchers from stealing the stack of cards. When you're out of cards, you're out of the game. 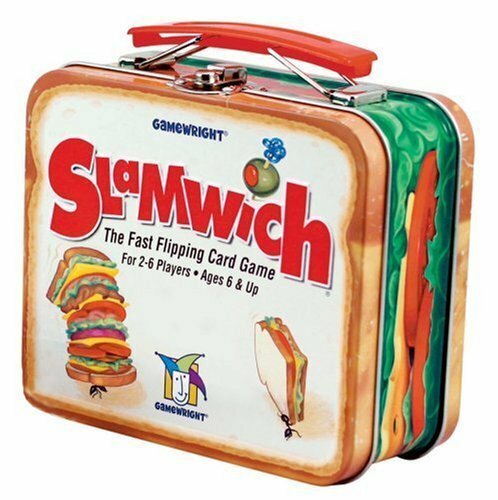 The first player to collect all the cards wins.